Deceivingly simple and clean-lined, this extraordinary cobalt chrome ring is the perfect way to show off this platinum-like metal. Flat and satin-finished on the face, it is accented by super shiny beveled edges on each side, giving it a gleaming contemporary look. 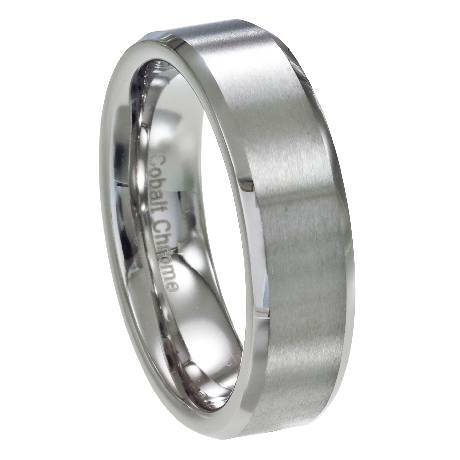 Men who appreciate a minimalist design will love this 6mm comfort -fit cobalt chrome wedding ring. Comfort-fit rings should be ordered 1/2 size smaller!